I have used calcium caseinate for over 25 years, I used to buy it from Boots in the small 200g packets but it was costing a fortune. 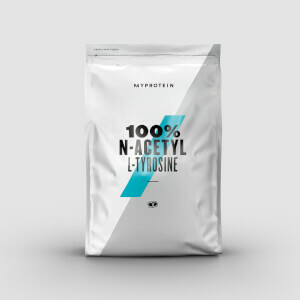 I have competed at national level as a bodybuilder and have always recommended this product as a fantastic slow release protein, which in my opinion just didn't get the coverage it deserved (whey etc being all the rage). 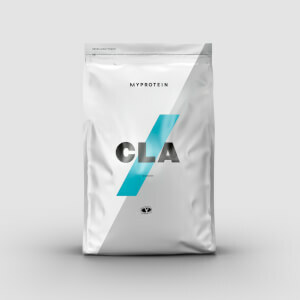 Unfortunately for Myprotein it is the end of the road with this product for me. For some bizarre reason it seems like someone has decided to add lecithin as an additional additive! I have no idea why... well I do know why, but it has no place being added to this product and has totally ruined a very good source of protein. Caseinate was never the best for tasting nice or even mixing as you require a substantial amount of fluids to mix it correctly, but taste for me was never of any interest, it`s what it does that counts, and it does it very well. With the additive it's now impossible to mix and quite frankly even I struggle with the taste and texture. I`d liken it to drinking sand... utterly vile. I don't think this was ever the most popular supplement, but I feel My protein has finally put the nail in the coffin for this. Well done guys, a job well done! Used to go well with whey...not anymore!! Effective stuff but the mixability is so bad. After shaking the result is a foamy cream and u need a spoon to eat it. To a 300ml 'clip and seal' beaker I add 35g of powder (unflavoured), one teaspoon of horlicks and 225 - 250ml of skimmed milk. Shake hard for 20 seconds then leave for 5 minutes. It sets like a mousse and you can tuck in with a spoon. Up to you what milk and flavours you add but this ends up like a treat at the end of the day of work, training and bland low fat food. Calcium Caseinate mixed really well and is liquid for about a minute then turns into a semolina type consistency, great if you want a pudding before bed. There was no nasty taste and really has a neutral milk taste. I really like this unflavoured Calcium Caseinate, would definitely order again. Anything if you want clean gains! Upon first use thought this stuff was a bit odd - as it turns into a mousse when mixing. Then it dawned on me great that was! Whack 300ml of Unsweetened Almond Milk in your shaker, shake like crazy for about a minute, wait another minute while it sets, then tuck in with a spoon! Chocolate Mousse Pudding every night before bed - and still on the gains train! - Genius! Pudding cravings & overnight protein! I don't really care about taste and tbh have never really cared that a shake doesn't mix too well until now. It's mixability takes the P I double S, it is so thick that is got stuck in my shaker and adding more water only makes it worse. I wish I could get a different product. I have used Optimun Nutritions Casein Protein Powder a number of times, mostly the chocolate variety. I enjoyed the taste of this and could easily put a double serving in water and drink easily before bed and enjoy the shake. MyProtein's Casein powder though tastes very bad, and does not mix well at all. Even just with a single serving and lots of water this is not an enjoyable shake. I have tried experimenting with different ways to consume as I dislike the shake so much and the only palatable use for it I have found is to mix with my oats and use as a meal replacement. The mixture becomes very dry and stodgy but at least edible. MyProtein offers great value which is why I started using their products, however this is one where I think I would rather pay the extra for a more premium and enjoyable product.